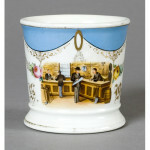 There are two main types of Store designs, first would be an interior view of an establishment with the owner assisting a customer; there is usually a spread of the products or items sold at the store shown in the background. 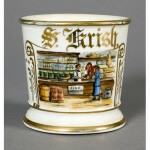 The second type of design would be an image of the exterior of the store showing the name of the establishment, sometimes with the business’s products in the window. 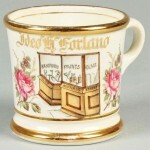 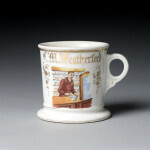 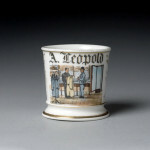 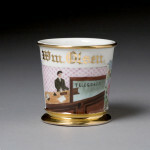 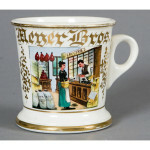 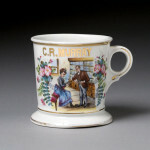 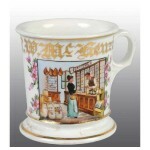 Value for store mugs varies widely based on the rarity of the particular type of store and any unique features of the decoration. 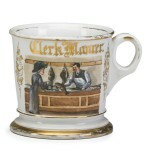 The most common types of store mugs are grocery stores and pharmacies, but many other types can be found such as hardware stores, shoe stores, confectioners, and clothing stores. 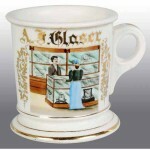 There are of course many one-of-a-kind type mugs that show custom or rarely seen designs for different types of store owners. 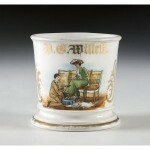 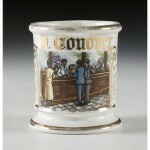 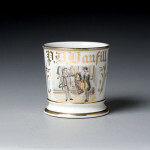 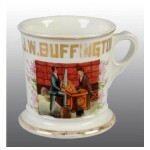 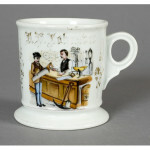 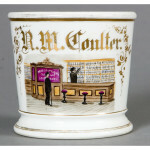 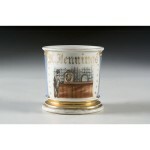 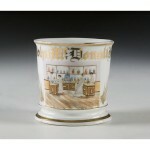 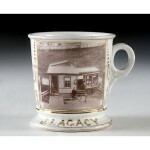 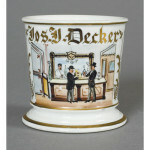 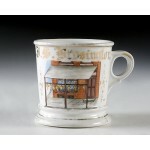 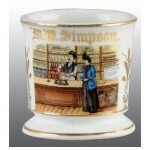 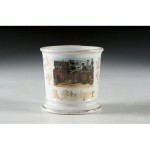 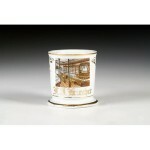 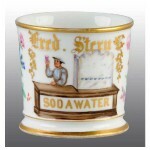 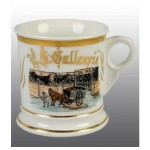 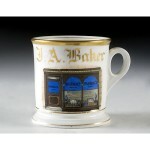 For help establishing the value of your antique shaving mug please contact us on out contact page.